This week, CM launched a new visual identity and a new website. The old logo was changed for a more connected look, and the website’s usability was improved. Now, it is even easier to reach your audience with our solutions for Text, Talk, Pay and Access. "With our new brand identity, our customers can recognise CM's role in the connected mobile ecosystem more easily and feel like they are really part of it" says James Bayhack, CM South Africa's Country Manager. That also means the old domain no longer suits us. 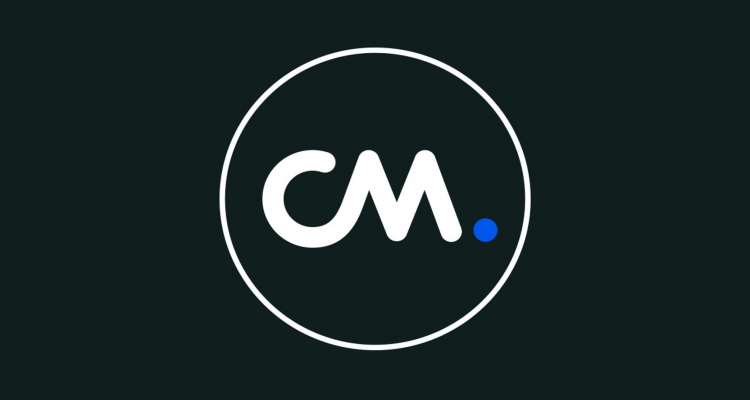 Therefore, all our domains have been migrated to the new domain name of CM: CM.com. This also has some consequences for the positioning of our products on the website. Now, you can easily find our products under the headings: Text, Talk, Pay and Access. And since we’ve made this first step in improving the website’s usability, we also made many other improvements - a completely new website with a direct connection to your account on the CM Platform. This will offer you a seamless experience between products and platforms. We're always improving the usability and design of our website and platform. We are convinced that these improvements will make our platform better and faster. That said, we're always open for other improvements and your feedback. Please contact us to tell what we can improve for you, we'd love to hear your story! connects tens of thousands of companies with millions of consumers via their mobile phone each day. Behind the scenes, from our innovative platform, CM makes sure companies can use these millions of messages, phone calls and payments to become part of people’s lives. We’ve all seen the headlines of how spending is shifting from things to experiences. That’s because there is a lot more to be gained from sharing an experience than buying a thing. In short, people are placing much more emphasis on self-care and indulgence. But the balance between experience and saving can be a challenging one: how do you ensure you’re not compromising on your experiences? Enter the ENTERTAINER, a lifestyle solution geared towards eating, seeing and doing more in and around your area, whilst saving money too. The future of mobile in 2019: What to expect? 2019 is imminent and with the arrival of many technical innovations, customer expectations are also rising rapidly. The following 5 terms play an important role in mobile and customer contact in 2019. Are you prepared for the future? With the most important shopping day of the year fast approaching, there’s no better way to reach your customers than with SMS. Consumers are more connected than ever and constantly attached to their phones. This is exactly why Google’s attempts to force improvement in mobile is so important for brands. An opportunity to start thinking clearly about their approach to mobile. As mobile commerce continues to grow, SMSs 98% open rate + Black Friday = A perfect match. It’s no secret that missed appointments are a frustration for every business. The success of your business, whether it be a beauty salon, dental practice or restaurant, depends on your customers. Real-time communication with your customers. Yes, but how? A major part of a seamless customer experience, is being available on all your customers’ preferred communication channels. Interaction should be instant, and identical throughout the many channels that can be used throughout the customer journey. To achieve this, choosing the right Communication Platform as a Service, is essential. Far from being simple, mobile technology is an ecosystem with an unprecedented number of opportunities and this applies equally to CM. 2015 was a year in which we at CM were able to increasingly provide the market with a relevant service on a single mobile platform. Deloitte and ING have awarded CM ‘Best Managed Company 2014’. This is the fourth time CM Telecom has been recognised as Best Managed Company. CM is an annual exhibitor at and visitor of the Mobile World Congress in Barcelona, Spain. The Mobile Word Congress is always a stunning event to visit. This year CM celebrates her 15th anniversary and 10th year as a visitor of MWC. One hundred mobile messages per second and 100 million euro of transactions annually. These are just two examples displayed in the new CM company video.